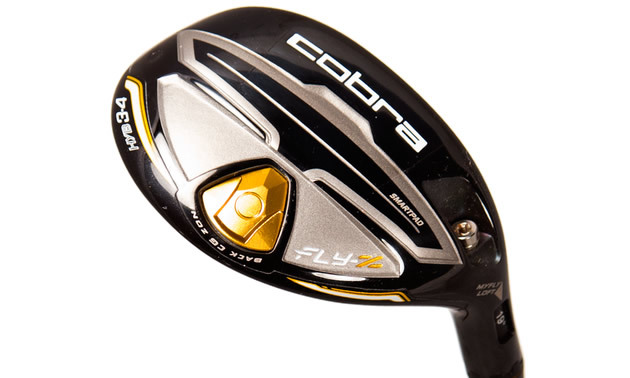 This Cobra Hybrid, 3 to 4, will replace the 3 and 4 irons. — Photo courtesy Cobra Golf, Inc. There is an old joke told by PGA golfer, Lee Trevino, that in case of a lightning storm on the golf course, hold up a 1-iron to be safe, as God can’t even hit a 1-iron. The joke is not far from the truth. The same applies to a 2, 3 and even a 4-iron. Have you noticed that new clubs are now sold without a 3-iron and some without a 4-iron? They include Callaway, Ping, Cobra, and Taylor Made, just to mention a few. The only clubs with a 3-iron are pro sets designed for scratch golfers and professionals. Since there is no standard guideline for hybrid specifications, the average hybrid would be between 21 to 24 degrees, replacing the 3 to 5 irons. Hybrid is defined as a mixture of two clubs, the metal woods and the long irons, producing a new club. The story goes that CBS commentator Gary McCord came up with the idea in 2002 and took it to Taylor Made. Taylor Made altered a 5-wood, making the club head smaller and designed as a Rescue Club to get out of the rough. It worked. Other companies like Cobra developed the baffler, with rails along the bottom to help the club slide through thick grass. Amateurs quickly adopted the hybrid, realizing it was easier to hit the green from 150 yards to 180 yards. Balls flew higher, had greater spin, landed softer and travelled further. The hybrid was more versatile and consistent than the long irons. Professional golfers on the PGA Tour took longer to adopt the hybrid, but Jimmy Walker, Phil Mickelson, Jim Furyk, V.J. Singh and even Tiger Woods have used a hybrid. Members of both the LPGA and Champions Tour quickly adopted the hybrid for obvious reasons. 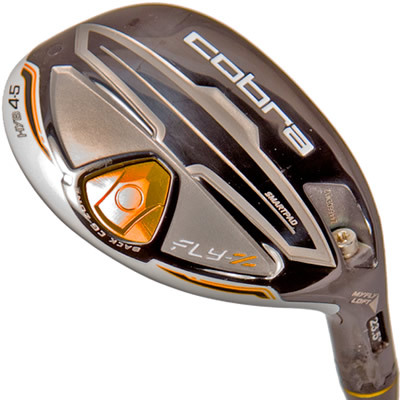 This Cobra Hybrid, 4 to 5 will replace the 5 and 6 irons. — Photo courtesy Cobra Golf, Inc.
1. The wide soul design and low center of gravity [CG], allows the ball to be hit off the fairway or out of the rough. 2. The new hybrids can be adjusted from fade to draw. 3. The shafts are shorter and the club head is smaller, making it easier to hit. 4. Graphite shafts are lighter than steel, resulting in faster club head speed and distance. 5. A higher ball flight and softer landing means more greens hit. 6. Clubs have an offset hosel, helping to produce a draw and reduce the slice. 7. The learning curve is short with more success than a long iron. All the major golf companies now manufacture hybrids, so leave your 3 and 4-iron in the garage and join the revolution in golf clubs.